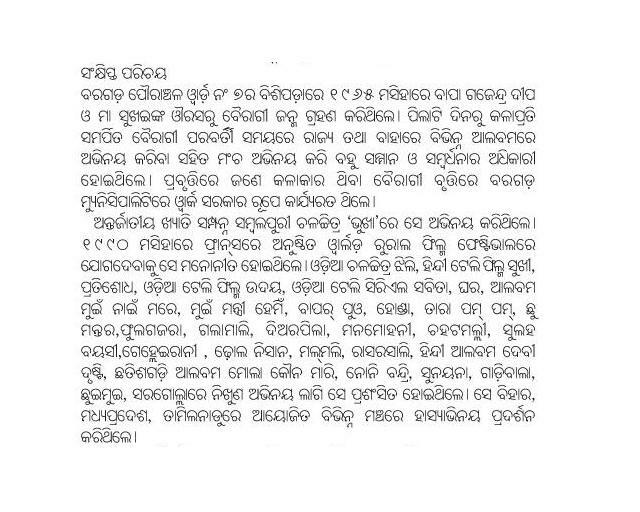 Entry filed under: Bargarh, Kosli Culture, Kosli movie, Region watch. Western Odisha has 332 colleges and 63,000 seats in the plus two level	Is the political leadership of western Odisha responsible for its underdevelopment? Not known to many, the Binbdu-Bairahi duo had started the duet comedy presentations 20-25 years earlier which we see now in many of the comedy shows aired on Tv i.e ‘Comedy Circus’ ‘Laughter Challenge’ etc and treat it as creative / new. It was not new to Bindu-Bairagi duo who were much advanced of their time.